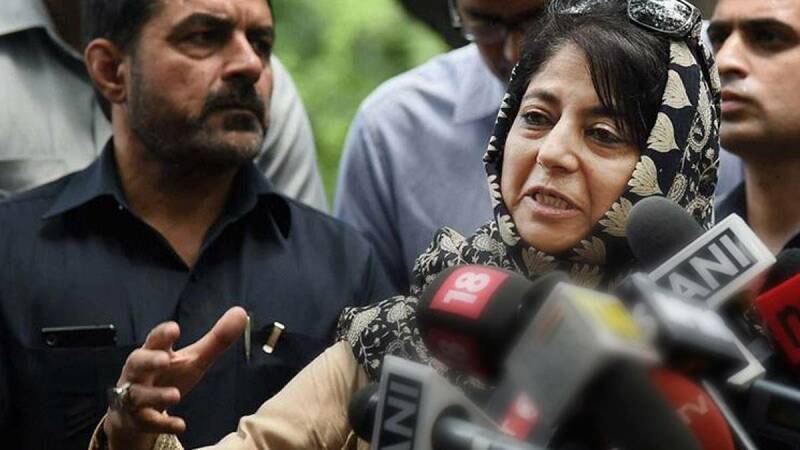 New Delhi : Jammu and Kashmir Chief Minister Mehbooba Mufti on Saturday met Prime Minister Narendra Modi and slammed Pakistan for fomenting trouble in Jammu and Kashmir. At least 67 people have lost their lives after unrest in the valley for over 50 days. # Jammu and Kashmir Chief Minister Mehbooba Mufti met Prime Minister Narendra Modi to discuss the security situation in the state. # She blamed Pakistan for provoking trouble in the valley and said Kashmiri youth were attacking security forces and police stations after being provoked to do so. # "I want to tell Pakistan, if it has any sympathy for Kashmiris, it should stop provoking them to attack police stations — and save youth from being killed." # She also claimed that Pakistan lost a golden chance to solve the Kashmir issue when PM Narendra Modi visited Lahore last year. # "It is time for Pakistan to respond (to India) if it wants peace in Kashmir," she said. # Earlier this month, Home Minister Rajnath Singh had also paid a visit to Islamabad for SAARC conference. # Unrest began in Kashmir after the July 8 killing of Hizbul Mujahideen terrorist Burhan Wani.